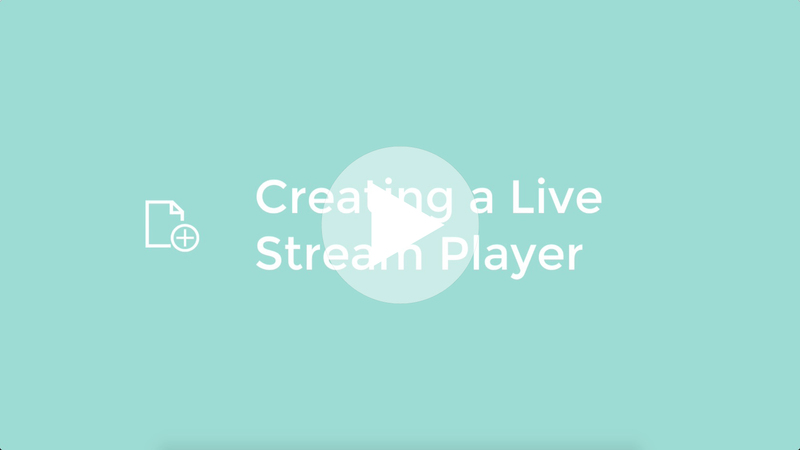 Here you can create a Live IP Cam player which will be connected to your Live IP Camera or RTSP source and display it for online viewing. In this article you will learn how to Live Stream your RTSP IP Camera. If you want to check out some demos and and extra information please visit our IP Cameras Information page. First we click on the All Media button in the left hand navigation bar. Now select the Live IP Cams tab. Here you can enter a Title to identify your Live IP Cam Player in future. 📝 Note: Simply replace the username part with your username and the passwordpart with your password. After the @ sign place the IP address for your camera and after the colon : goes the Port number. Destination; Here you can choose if you wish to add the newly created Live IP Cam Player to the Default Playlist which is the where any videos that are not part of a specific playlist will be located. Or if you wish to add the Live IP Cam Player to a specific playlist. Now simply click on the green ✅ Save button to create the Live IP Cam Player. Then click on the Live IP Cams tab within the settings panel. Here you will see all your current settings for your Live IP Cam Player and are able to make any changes desired.